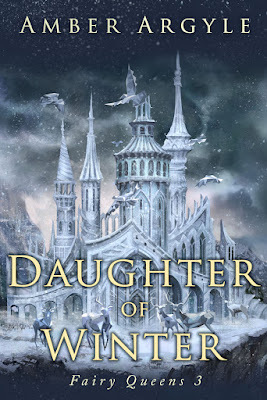 Daughter of Winter is the third book in the Faerie Queen series. While they can be read as standalones, I recommend reading them in order. 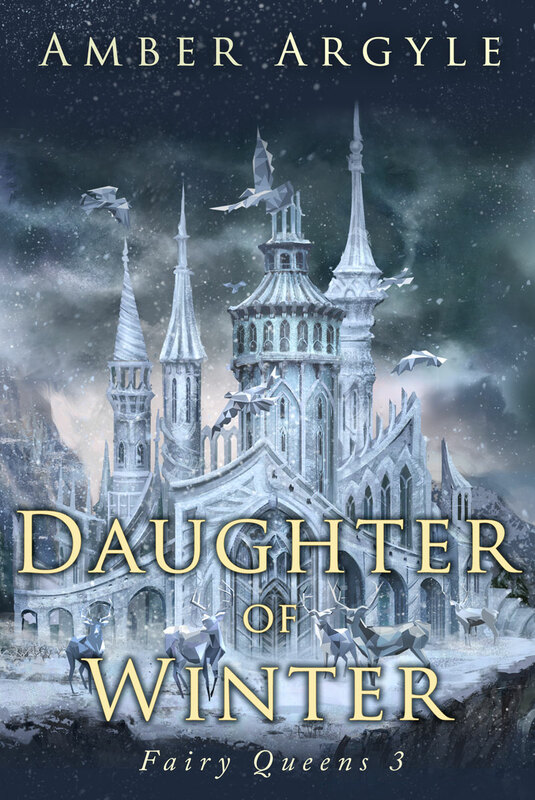 This book continues the story of the war between Illyena the Winter Queen and Nelay the Summer Queen. I really loved how we get to the cost of their war, not just in their realms, but the world. We also learn more about the Balance that has more serious consequences than either side thought. I was completely drawn into this complex world from book one and can’t wait to see how everything comes together in the final book. As usual, the setting descriptions are stunning in their simplicity. Argyle manages to weave together beautiful details that bring even a world of ice and snow alive with life and wonder. Her characters are complex and you truly care about them. Elice is the daughter of Illyena and Rone. I’ll admit I’ve been exited for her story every since Winter Queen. Despite growing up among the cunning and coldness of the fairies, Elice bursts with innocent wonder, but also has a great deal of moral strength and courage. She finds beauty in all around her and uses her powers over winter to create stunning works of art. But trapped all her life in the realm of winter, she longs to know of the world of color and warmth beyond the frozen tundra of her home. When she rescues a young man from her mother’s wrath, hiding him as he heals, she begins to dream of a life she never thought possible. Adar teaches her what it means to have a friend and the dangers that threaten them all if the Balance isn’t righted soon. I really liked that we got Adar’s perspective as well as Elice’s. He brings a humor and lightness that’s foreign to the cold court Elice grew up in. However, his ready smile seems to hide a secret agenda that makes me wonder who he really is and why he wants Elice so much. Despite his hidden motives, he and Elice must work together if they are to escape the clutches of her mother and her fairies. I won’t say more about that in fear of revealing too much, but know their race to freedom kept my heart racing and the pages turning with one danger after another. I had a couple things that bothered me. 1) Where was the kissing?! There were a couple moments when I held my breath waiting for it to happen, but didn’t. While I was a bit disappointed, I actually liked their relationship and can’t wait to find out what happens next. 2) I had a really hard time with Illyena’s coldness and heartlessness. I really liked her character and was sad to see her loss and heartache continued. Also, reading her journey and knowing why she became the Winter Queen made me not like Elice’s attitude toward her mom. I thought her own daughter wanting her dead was a bit rough. Other than those two things, I loved the book! I’d recommend this book for teens 14-18. Don't forget to leave a review after you've read the book! Even a one liner helps authors immensely. Word of mouth sells more books than just about anything. To help out, you can share this on facebook, tweet this on twitter, or pin this pin.